"It is such a dream come true to have bagged this project in such little time. This year is looking very positive for me and Sanya (Sagar) has been such a great influence on my life professionally and personally," the actor said in a statement. "I can't wait to commence shooting with Rajinikanth sir and AR Murugadoss sir this week and create some magic," he added. The project, which was tentatively titled "Thalaivar 167", also features Nayanthara as the female lead. The actor has previously worked with Rajinikanth in "Kuselan", "Chandramukhi" and "Sivaji". Murugadoss had last week shared the first look of "Darbar" which marks his maiden collaboration with Rajinikanth. The poster was decked up with police instruments and equipments, with the punchline, "You decide whether you want to be good, bad or worse." The film is backed by Lyca Productions, the banner which was also behind Rajinikanth's science-fiction and action flick "2.0". 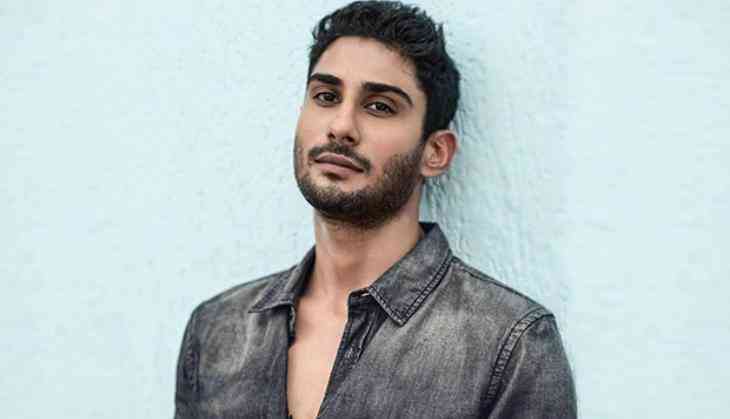 Prateik will also be seen in Nitesh Tiwari's "Chhichhore", Mahesh Manjrekar's "Power" and Anubhav Sinha's "Abhi Toh Party Shuru Hui Hai". The actor also has a web series in his kitty and it is expected to release later this year. Aditya Chopra's next directorial, Befikre will be a youthful love story sans Shah Rukh Khan? Yeh Hai Mohabbatein: Shocking! Move over Divyanka Tripathi, Karan Patel's show as this popular show is also going off-AIR! READ NEXT >> Yeh Hai Mohabbatein: Shocking! Move over Divyanka Tripathi, Karan Patel's show as this popular show is also going off-AIR!